After our in-depth review of the Shield Tablet with WLAN and 16 GB, we evaluate the more expensive LTE model with an additional 32 GB flash memory now. You'll get an Icera i500 chip from Nvidia, which supports 2G, 3G, and 4G (LTE Cat 3 100 MBits, also Cat 4 with 150 MBits in theory) for a surcharge of 80 Euros (~$100). 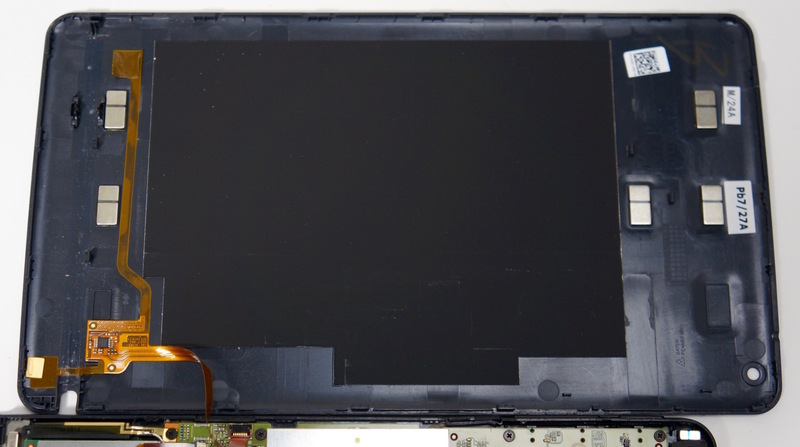 In some regions, the Shield Tablet also offers telephone functionality. However, compatible software was not preinstalled in our test model. The following review only covers the differences to the Wi-Fi model. 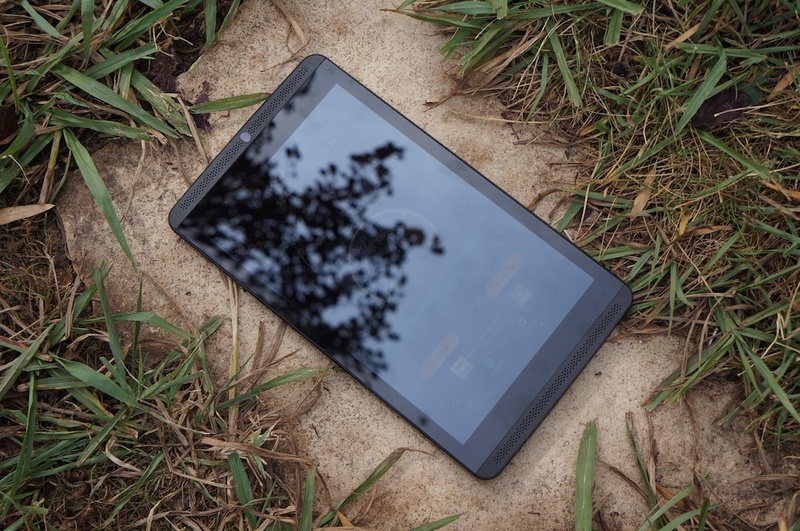 Please refer to our in-depth review of the 16 GB tablet for details about build quality, GPS, WLAN, display, performance, speakers, and emissions. The Icera i500 is a software driven modem, which can currently reach LTE Cat 3 (Cat 3: up to 100 Mbps download, 50 Mbps upload) in the Shield Tablet. 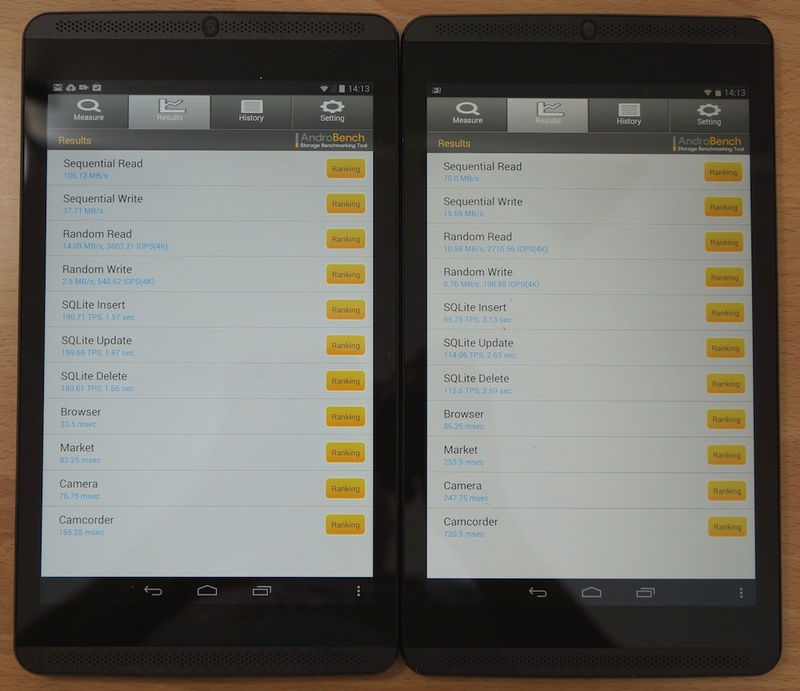 During the launch event in Nice, we could test the Shield Tablet with two different LTE providers. Despite poor reception (0 to 1 bars according to Android), we reached an average Ping of 60 ms, 23 Mbps download (maximum: 52 Mbps) and 8 Mbps upload (maximum 21 Mbps). According to Icera up to 70 Mbps is possible in practice (close to the radio cell, no sharing). Nvidia also showed that it is possible to play games online via LTE without problems during the event. Disconnections and lags did not occur. 3G reception (Bob network in Austria) was also stable in our test with a data rate of 40 ms Ping, 4.5 Mbps download and 2.4 Mbps upload. 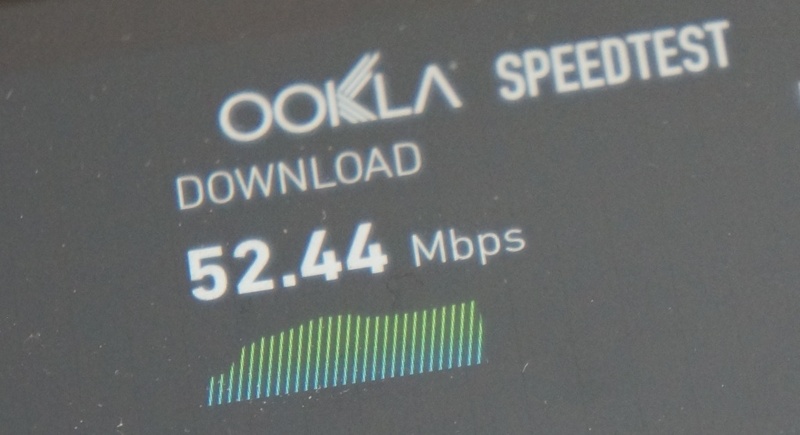 An LG Nexus 4 tested at the same time achieved slightly better results (apart from Ping, which is important for games) with an average of 50 ms Ping, 5 Mbps download and 3 Mbps upload. It is somewhat surprising that the 32 GB model performs significantly better in the AndroBench 3 memory test. In particular, the results are significantly higher than the WiFi model's in the write tests. As a result, the LTE model made it among the fastest Android devices (tablets and smartphones) reviewed by us in AndroBench 3. By the way, the fast memory hardly has an impact on system performance (Antutu). The difference was within a normal margin in our test. The headset port of our LTE test model was very susceptible to failure during a train journey. We often heard interference such as those in poorly shielded equipment when a telephone call is made. We did not find out whether the smartphone beside it or the LTE chip (without SIM) caused the problem. Interference did not occur in the office. Since we heard a quiet noise at the headphone out, the reason could be that the audio out is not sufficiently shielded. 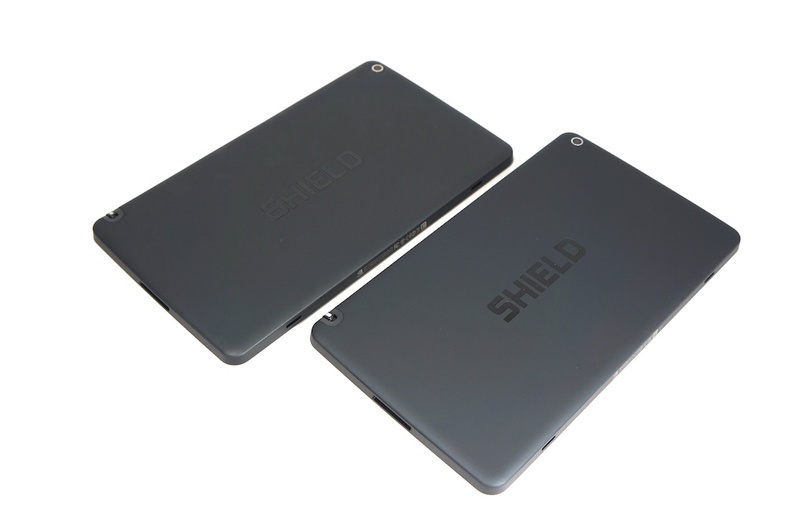 The LTE model of the Shield Tablet not only offers an additional radio chip but also a significantly faster flash memory with double the capacity, which is a significant advantage for everyday work. Since demanding Android games become bigger and bigger (e.g. Real Racing 3: 1.3 GB), we would not only recommend the review model to users requiring a radio module. Otherwise, the LTE model inherited the strengths and weaknesses of the Wi-Fi model. Unique features like game streaming and integrated game recording (e.g. 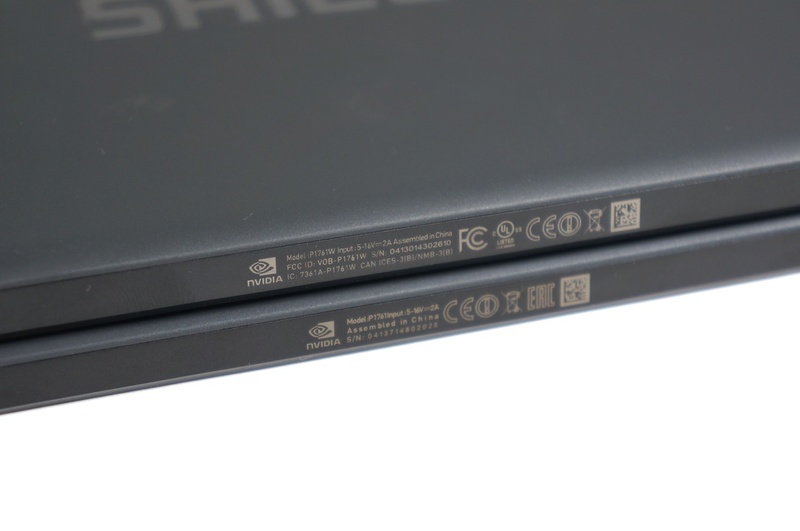 for Twitch), the impressive performance of the Tegra K1, the display with calibrated colors, and the well working DirectStylus2 stylus are only faced with average materials, stability, and battery life. However, the price is currently fair. 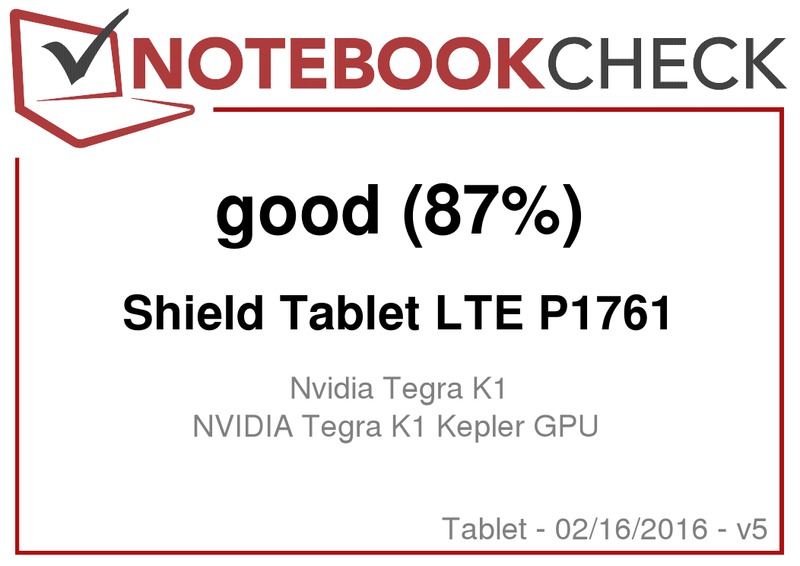 So, the growing target group, Android gamers, is well served with the Shield Tablet LTE. 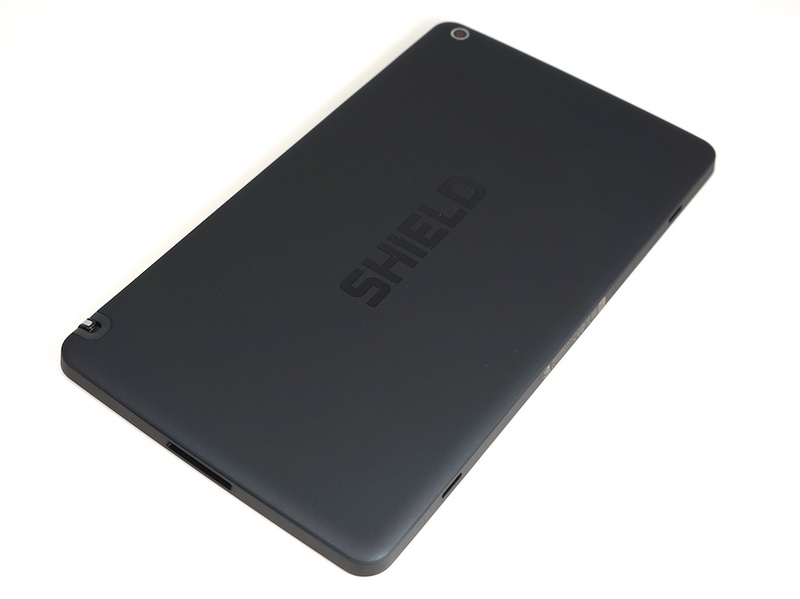 Shield Tablet LTE - due to its faster 32 GB flash memory, the device is also interesting for users without SIM cards. The LTE and the Wi-Fi model have the same size and design. 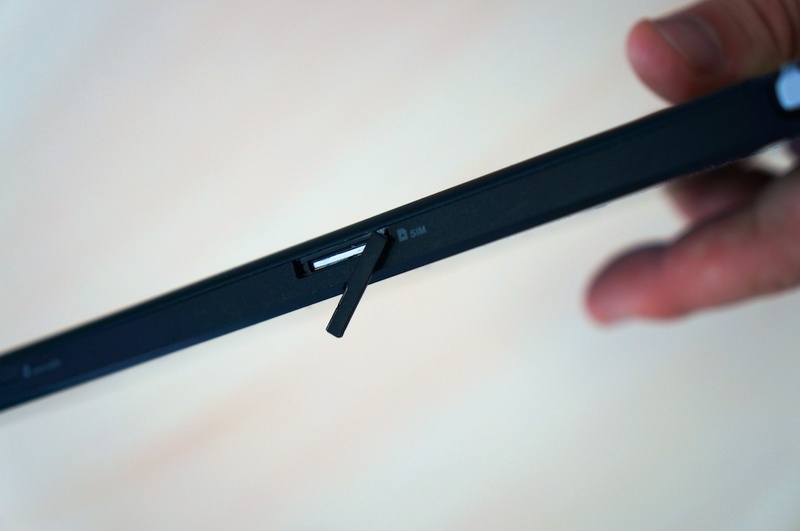 The unlabeled cover has been replaced by the SIM slot in the LTE model (unfortunately, it is somewhat difficult to use). 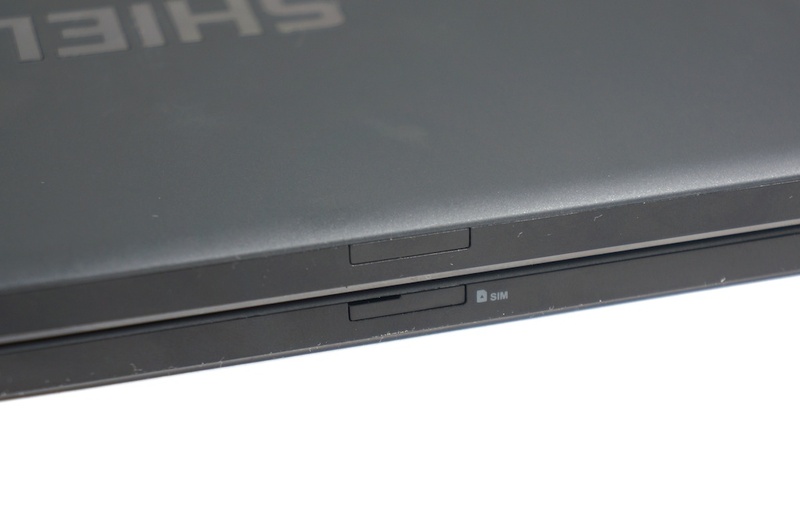 The cover does not appear to be especially durable (just like the difficult to use micro-SD slot). US WLAN model with FCC labeling versus European LTE model with CE labeling. Gaming outdoors - not a problem with the LTE model of the Shield Tablet.